Since the introduction of the new D800 some users complained about the so-called “Left Focussing Issue” where the the left side Auto Focus points would be slightly off, especially with wide angle lenses. After seemingly ignoring the issue for some time, Nikon must have been working on a fix, however. In an interview of blogger Falk Lumo with Nikon Germany at Photokina 2012, Nikon acknowledges the issue and told him there is a fix for it as well. Nikon has acknowledged, found and understood the root cause of the issue. It has been eliminated in the current production (however, I guess we'll never know when and from which serial numbers on). 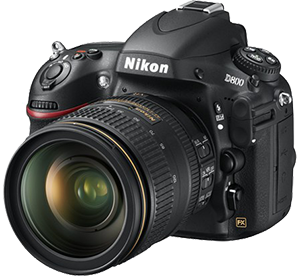 The issue for affected D800 can be solved in selected Nikon service centers; such as Düsseldorf, Germany. The procedure is currently rolled out to more Nikon service centers. The fixing procedure for Nikon is a tedious one. It includes writing individual calibration values into the firmware. For larger deviations, the AF module will first mechanically be re-aligned. This may actually include the AF auxiliary mirror in some cases. This method is believed to deliver an autofocus precision which is at least as good as of cameras from a fresh batch. I could not clarify if there is a chance for both methods being non-equivalent in some way. However, Nikon Germany does not think so. They rather wholeheartedly believe that the in-service calibration procedure resolves the issue as good as current production does, if not better. For the full report, see Falk Lumo's own Blog.